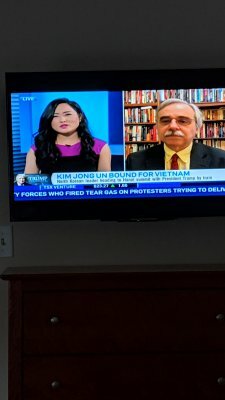 Experts in the news. UMW’s Dr. Stephen Farnsworth was front and centre as news was breaking this weekend. Dr. Farnsworth is a sought-after political commentator on subjects ranging from presidential politics to the local Virginia congressional races. He has been widely featured in national media, including The Washington Post, Reuters, The Chicago Tribune and MSNBC. He is author or co-author of six books on presidential communication. His latest work, "Presidential Communication and Character: White House News Management from Clinton and Cable to Twitter and Trump," examines how the last four U.S. presidents sell themselves and their policies in an ever-expanding and sometimes precarious media environment. Among his other books are "The Global President;" "Spinner in Chief: How Presidents Sell Their Policies and Themselves;" "The Nightly News Nightmare: Media Coverage of U.S. Presidential Elections, 1988-2008;" "The Mediated Presidency: Television News and Presidential Governance;" and "Political Support in a Frustrated America." 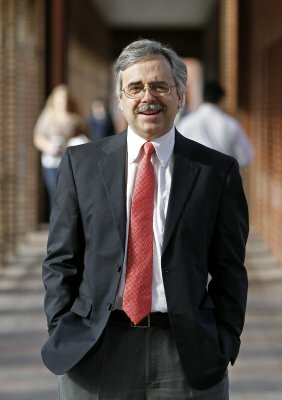 A professor at University of Mary Washington for nearly two decades, he established the University’s Center for Leadership and Media Studies. He is recipient of the 2017 Virginia Outstanding Faculty Award by the State Council of Higher Education of Virginia (SCHEV), and was recognized for his service to the national political science honor society Pi Sigma Alpha. The University has bestowed four teaching honors, including the Alumni Association Outstanding Young Faculty Member Award, the Mary W. Pinschmidt Teaching Award, the Richard Palmieri Outstanding Professor Award and the Waple Research Professorship Award. Awarded for outstanding research in political science. Stephen J. Farnsworth, University of Mary Washington professor of political science and director of the Center for Leadership and Media Studies, has received the prestigious 2017 Virginia Outstanding Faculty Award by the State Council of Higher Education of Virginia (SCHEV). 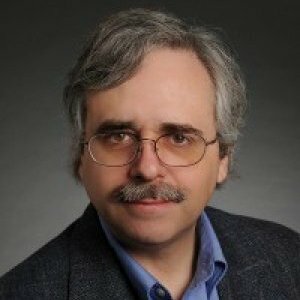 Stephen Farnsworth, professor of political science and director of the UMW Center for Leadership and Media Studies, was recognized for his dedication and service to Pi Sigma Alpha, the national political science honor society, at the American Political Science Association Conference in September 2016. Awarded by the Virginia Association of Communication Arts and Sciences. Awarded by the Alumni Association of Mary Washington College. Presented by the graduating class to the faculty member "who had the greatest impact on their lives" at Mary Washington College. Presented by Mortar Board honor and service society in recognition of exceptional teaching and service to Mary Washington College. RICHMOND, Va. (CN) – Continuing his East Coast campaign blitz, 2020 Democratic presidential hopeful Beto O’Rourke told Virginians in a packed hotel ballroom Tuesday that they could help keep the blue wave rolling by both supporting his candidacy and fighting to take over the Statehouse. Stephen Farnsworth at the University of Mary Washington says members of the General Assembly are not ordinary people. 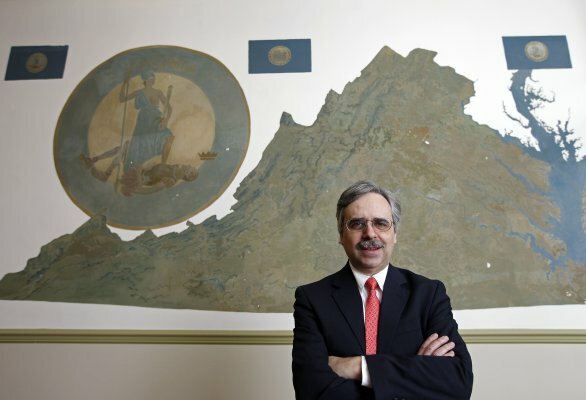 “It’s not a legislature that looks like Virginia in part because it’s not designed to be a legislature that looks like Virginia. You put the income of your lawmakers up against the income and assets of ordinary Virginians and you see a huge difference,” Farnsworth notes. “The past week has demonstrated the governor is being invited to some things, though not as many things as an ordinary governor,” Farnsworth said. Politics, Media and the American Political System. American Political Science Association, Washington, D.C.
American Political Science Association Pre-Conference in Political Communication, Washington, D.C.
Virginia Social Science Association, Richmond, Va.
[Opinion column] “This One Map Shows the Republicans’ Problem in Virginia.” (Stephen J. Farnsworth and Stephen Hanna). Washington Post. (“The Monkey Cage” blog). November 9, 2017. [Opinion column] “Support for Medicaid in Virginia Keeps Growing.” Washington Post. October 8, 2017. [ Opinion column] “News coverage of Trump is really, really negative. Even on Fox News.” (Stephen J. Farnsworth, S. Robert Lichter, and Roland Schatz. )Washington Post. (“The Monkey Cage” blog). February 28, 2017. 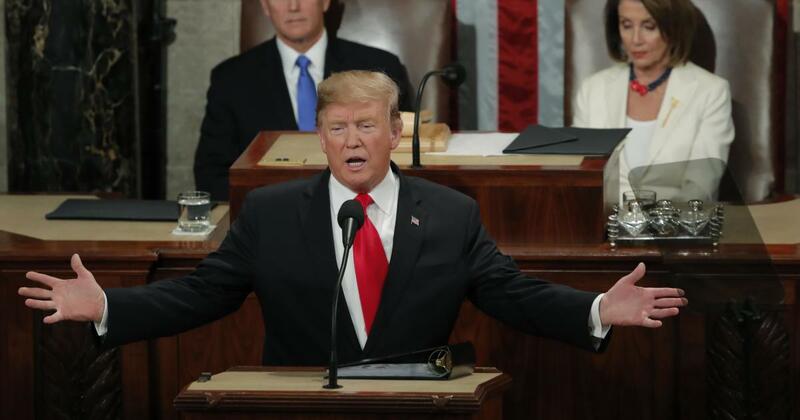 [Opinion column] “Donald Trump will probably be the most ridiculed president ever.” Stephen J. Farnsworth, S. Robert Lichter, and Deanne Canieso.Washington Post. (“The Monkey Cage” blog). January 21, 2017. Stephen Farnsworth is co-author of an opinion column, “Late Night Tells Three Times as Many Jokes about 2016 Republicans as Democrats,” published by "The Fix" blog of the Washington Post.